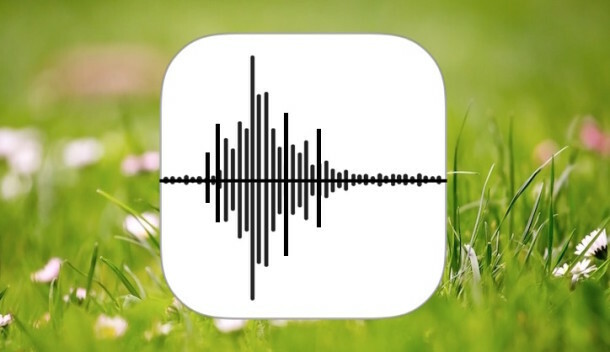 The iPhone includes a Voice Memos app that allows anyone to quickly record their voice, a speech, something nearby, or any other ambient audio from the devices built-in microphone. The resulting audio quality is quite good, and going further, you can save and share the recorded sound with another iPhone, Mac, Windows PC, Android user, or nearly anything else, as it arrives as a universally compatible audio file. 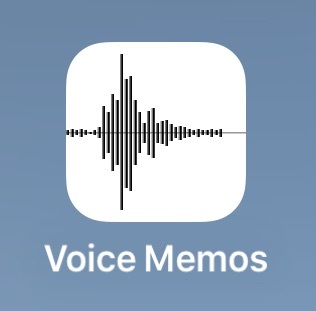 The Voice Memos app is exclusive to iPhone, missing from the iPad for some unknown reason. Mac users do have a comparably simple option, however, where there is the ability to record audio on the Mac with QuickTime, which results in a similarly formatted m4a file which can be shared universally as well. Still one of the worst icons I’ve ever seen from Apple. I agree, Voice Memos is a great app and I use it often, the first version of it from Forstall was more intuitive and the icon made sense. The new icon and the new interface is… uninspired. To put it nicely. Wow! Really?! Open an app? Press a Record button? Thanks for embedding the images in the story. I don’t think I ever would have figured that one out; especially without the red arrows! JGG, you’re a real know-it-all eh? I bet you think you’re really clever with that comment eh? You thought about that one for a few minutes did ya? 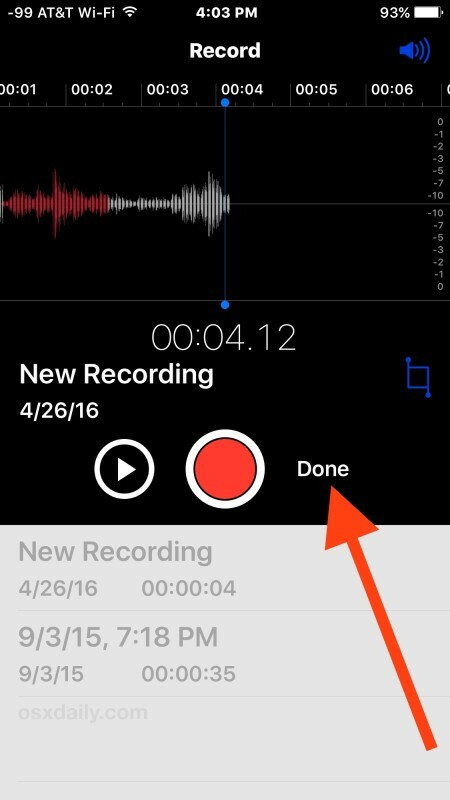 You know everything there is to know about Voice Memos and recording your voice with iPhone eh? You’re a real genius JGG, I look forward to reading your free genius newsletter JGG, where can I sign up?? That is the most useful comment I have yet read, thank you! It might seem obvious to some people, but the point of advice is that when you need it, it’s cos the answer isn’t obvious to you. I don’t like the icon, but mine still looks beautiful since it’s the one from iOS 4.1. I like all tips. I never use voice recording but realize it could be very useful. However when I tried to play it back, I could barely hear it even though volume was up high and I had spoken into the phone when it was quite close to me. I have noticed that I rarely hear the phone when someone tries to call me so I am wondering if there is something fundamental about the speaker system in my phone. I do have a protective cover on it. Could that be an issue? Yes, iPhone protective cases can diminish both the ability of the microphone to record sound, and the ability for the speakers to project volume. That applies to the screen-covering protective screen shields as well. Additionally, iOS has several different volume levels for different functions, so be sure you turn up the volume (using the buttons on the side of the iPhone) when you’re in the actual Voice Memos app as well – you may see the sound volume increase here despite being turned up elsewhere. The volume in iOS is a bit of a mystery, since there doesn’t seem to be a single indicator for controlling all volume output… oh and if you use headphones they have yet another different volume level too. I use the app all the time and find it quite useful. I also enjoy your newsletter as it is very helpful. I’ve got a very nice microphone and it still seems to use the iPhone built-in microphone by default. It isn’t a bad microphone, but I wanted to us my external mic just so I could have better control over the sound quality. Any recommendations? I couldn’t find anywhere to change that preference. Plug the microphone into the AUX headphone port and it should pickup automatically, like the earbuds have a microphone in them for example. I’ve got the same problem – lapel mic records for video but not for memo. Other recording apps also only work with internal mic. Well, I wish someone would come out with the tips and tricks for voice recorder. Because if your settings are off like with screen shut off it seems to sometimes halt the recording or pause it. Like for a real world setting I want to record an interview. But when you are doing life things you want to use your hands and just put the thing in your pocket and record and then shut it off when your done with the tutorial. Like if someone was teaching me how to do something but I wanted the recorded audio of the steps. If the phone shuts off because of a timer or a notification does anyone have any experience in getting around that? It has only taken me half an hour to figure this out. Now I wish I could remember what it was that I wanted to record. Thanks Margin. I just use my phone for the absolute basics (phone calls, texts and photos), so your hints saved this “dummy” from some time-wasting frustration. Much appreciated! Having used Voice Memos to record both a conversation and also some live music, I think the quality is appalling (like telephone call quality). Do you know, is this a limitation of the built in microphone, or is it the Voice Memos app stripping out any low and high frequencies to compress the file size smaller? the red dot just shimmies when I tap it and there is no recording, what should I do? This saved my skin. I had a homework assignment that needed to be submitted orally and I could not find a way to do it. From this instruction, I was able to hook up to my voice voice memos instantly and had it all done and the homework submitted in about ten minutes’ time. Thank you! while I am recording, phone call came then automatically stopped recording and I continued recording. after finished recording I tried to save whole duration 1st part and 2nd part together. but 2nd part that 15min duration is not saved because I tapped undo. I was found 1st and 2nd part that recorded well. this is very important record. can you advice how to save 2nd part accidentally deleted? How long can you record something? Thanks for taking the time for making this tutorial, really appreciated. I always capture audio with a web-based software calls Acethinker Audio Recorder, It is a free online tool that lets you record audio right from the browser. Share it here as an alternative method. I have the same question as Cindy – how long can it record? Are there any “gotchas” for a long (say 2 hour) recording? I’m going in for a medical procedure and would like to record the audio during that time (I may be asleep). I also want to record what the doctor tells me afterwards. Would the iPhone going to sleep after a period of unuse (display off, locked mode) cause the audio recording to stop? I think with even a modest amount of compression (or even no compression), there should be plenty of room on the phone for 2 hours of audio. 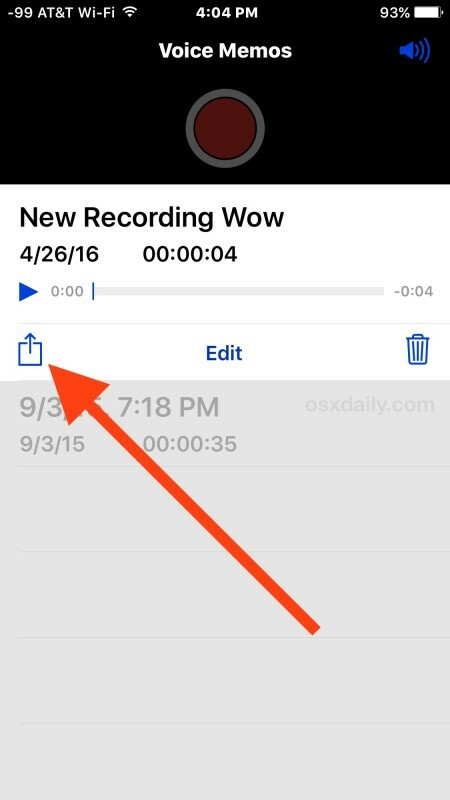 When recording something on voice memo, how to pause a recording, and come back in a few seconds, without STOPPING it and having to record again, and again? I record much off my desktop computer on sales, etc. and cull the best tips in 20 second bursts, so want to PAUSE the recording, but I can’t find a place to pause…………….Thanks! This afternoon I had accidentally deleted a recorded voice in the voice recorder apps. Can please show me anyway to retrieve back that files ? 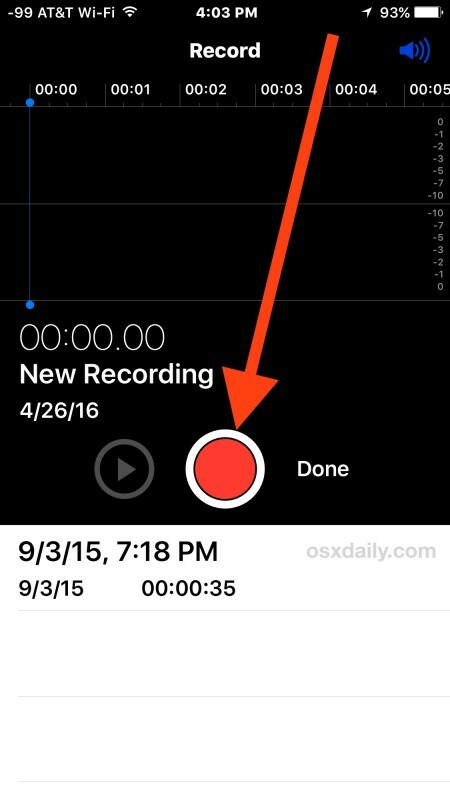 Is there a maximum recording time for voice memo? I’d like to record a meeting lasting around an hour or so. Is there enough recording time? I believe the recording time is limited by storage capacity on the device and not by time limits, but I am not sure that anyone has tested that concretely. I have certainly recorded long voice memos many times before though. The Music Memos app is another helpful app for recording audio sessions on iPhone though of course it’s aimed at music. I tried to Revord voice memo with mini columned and height also. But recording voice volume is very little. Any setting issue with my iPhone X ? 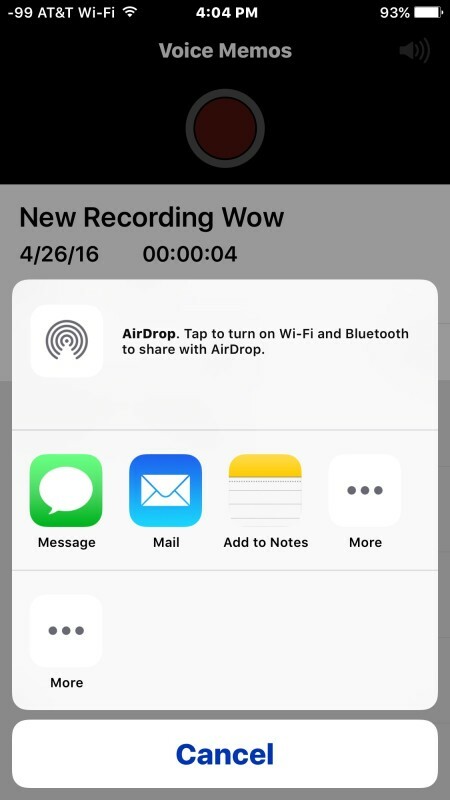 Does anyone know how long a recording can be with this app? I need to collect a language sample for a school project and would likely need to voice record for about an hour. Can I record that long with this app? Ive done a recording it was nr 43 on the voice memo yesterday, and it is not with the deleted files, butwhen I went to listen today there was no 43. 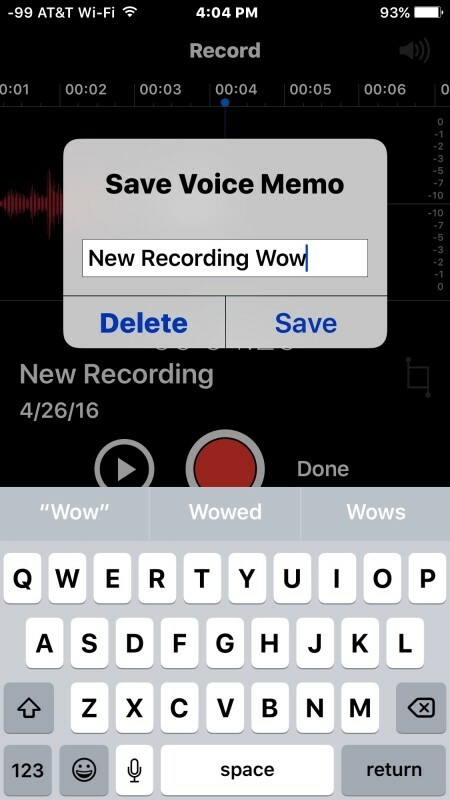 During one of the upgrades, the Voice Memos red button still turns on any recording, when I press it again to stop recording, the word “done” is no longer there so how can we save the recording. I am not sure why it disappeared but I can’t seem to get it back. I used Voice Memos a lot, it is a great tool but need help as to how to figure out what happened that the “DONE” button disappeared. Has anyone else experienced this? And can you advise how to correct this. I am seeing a medium tomorrow and can tape our session. Is this the right site or can anyone help me . I am not that good at this.